Georgie Young – Original Art Click an image to see artwork framed. 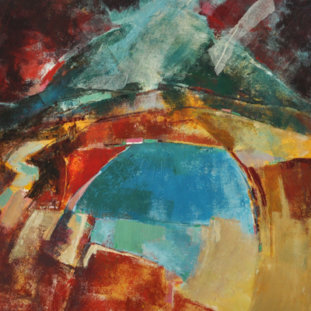 …coastlines of the West, East and far North of Scotland.Her work aims to evoke a feeling and capture a sense of place, an atmosphere or an unexpected detail rather than reproduce a direct likeness. 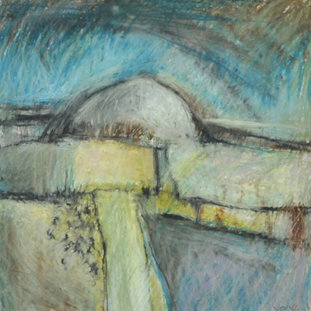 The paintings are a product of observation, interpretation and improvisation: the original observation is processed, re-examined and the essence abstracted.In the past she has concentrated on predominantly Scottish subjects but, more recently, the hills and plains of the North and South of Spain have also featured in her work. 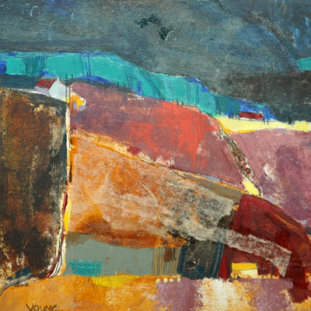 For many years Georgie lived, taught and painted in Ayrshire. She now lives in Edinburgh in sight of the Castle. Georgie has exhibited in solo, joint and mixed shows in Edinburgh, Glasgow, London, Perthshire, Cannes and New York.